The new building was a key enabler for better collaboration across Transpower's business and designed to meet future needs. 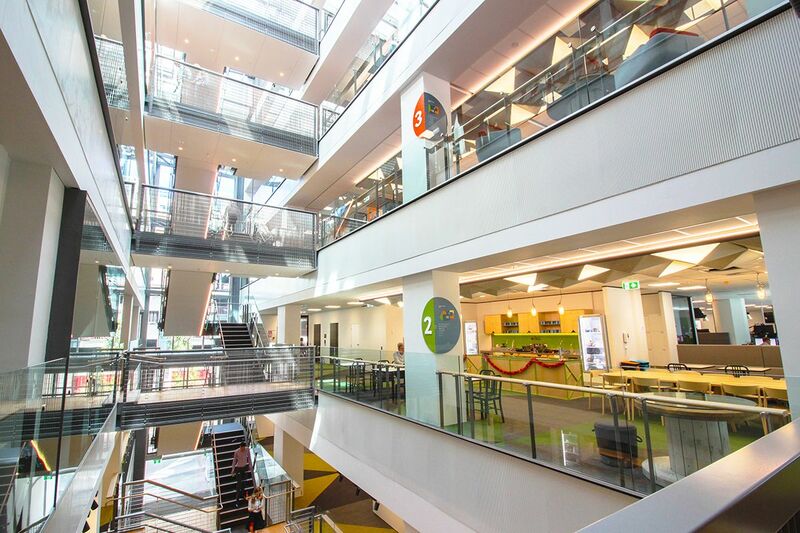 T&R worked with both Jasmax and Architecture+ as part of the Transpower fitout. The new Transpower building on Boulcott Street was a very complicated but capturing project that joined two existing buildings and added several levels on top. Extensive strengthening was required of the building structure. 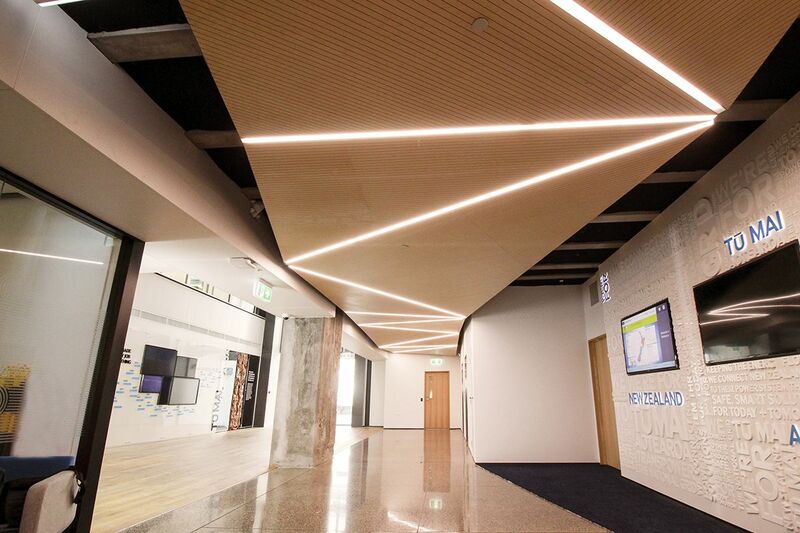 Architecture+ designed the basebuild and Jasmax designed the interior for Transpower tenants. T&R Interior Systems provided technical advice to both practises. Seven Hundred staff now occupy the building. 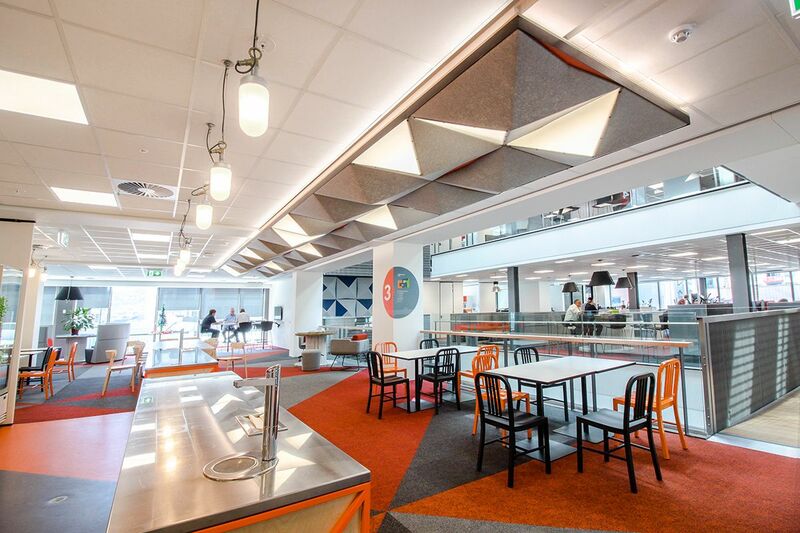 Jasmax’s design for the interior fit-out recently won the Interior Architecture Award at the Wellington NZIA Architecture awards. 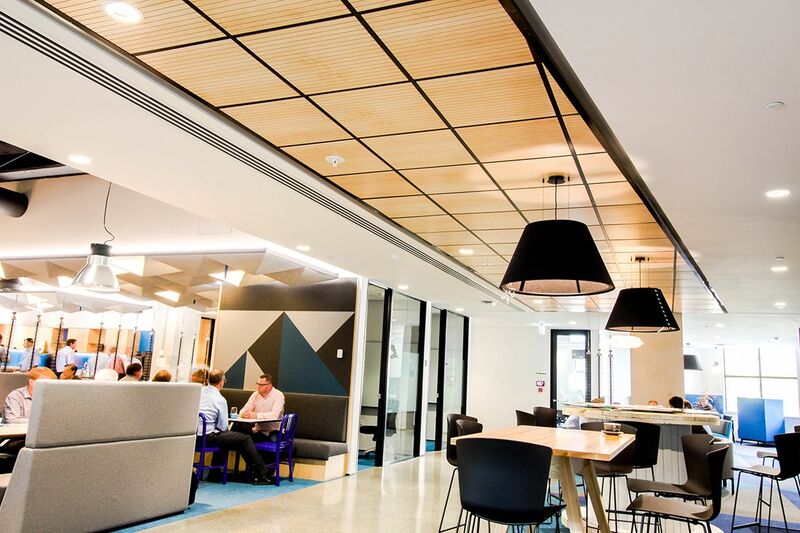 Prestige Ceilings installed all the suspended ceilings, plasterboard ceilings, feature ceilings and OROQI panels in the project. The open plan offices had Daiken Harmony acoustic ceiling tiles (to meet BPS requirements) in CBI grid. OROQI ceilings were a feature around the atrium and different colour combinations alluded to the individual colour schemes of each level. 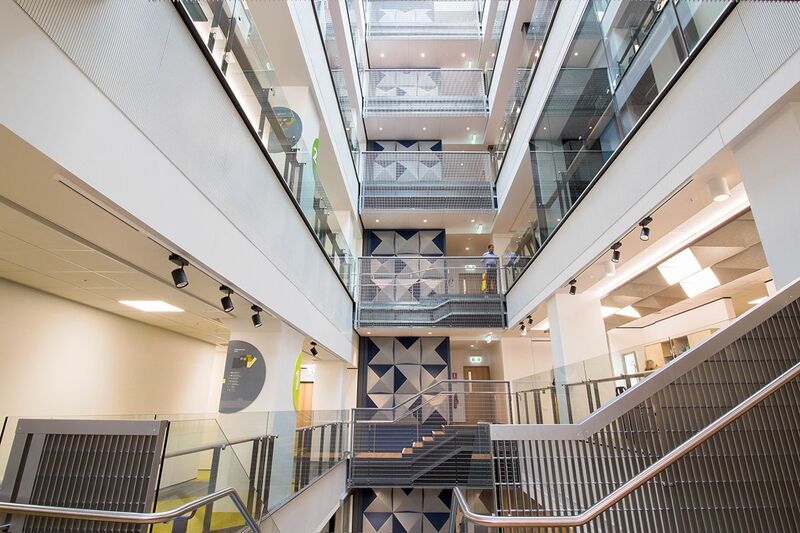 Furthermore, large OROQI tiles extended up the end of the atrium while white painted Hush Panels lined the walls of Atrium to control reverberation time through the centre of the building. The Hush panels and OROQI tiles were also featured in the reception area and café space on the lower floor. Product used: Harmony, CBI Grid, OROQI panels; Hush Panels, GIB Quietline.